People who use drugs come from all walks of life. That’s the message the Sunshine Coast Community Action Team is trying to send out as they want to get rid of the social stigma in our community when it comes to drug use. “People who use drugs are members of our community,” said Miller. 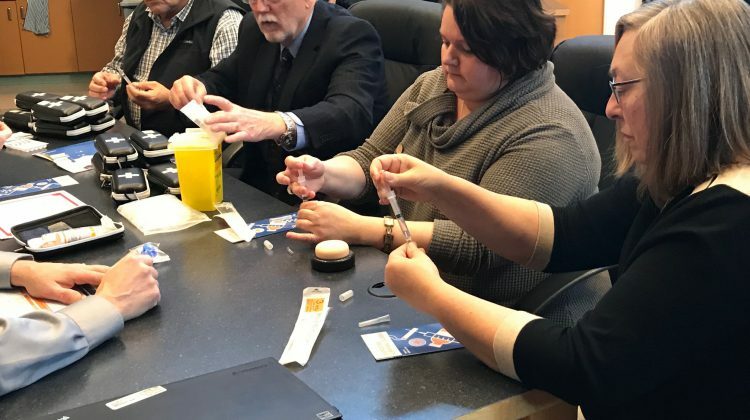 Some elected officials were invited to a naloxone training event this week that was organized by the community action. SCRD Board Chair Lori Pratt says by being a part of an event like that, it sends a strong message to the community. “The big message here is that every life matters,” said Pratt who was also surprised by how easy it can be to save a life by using naloxone. 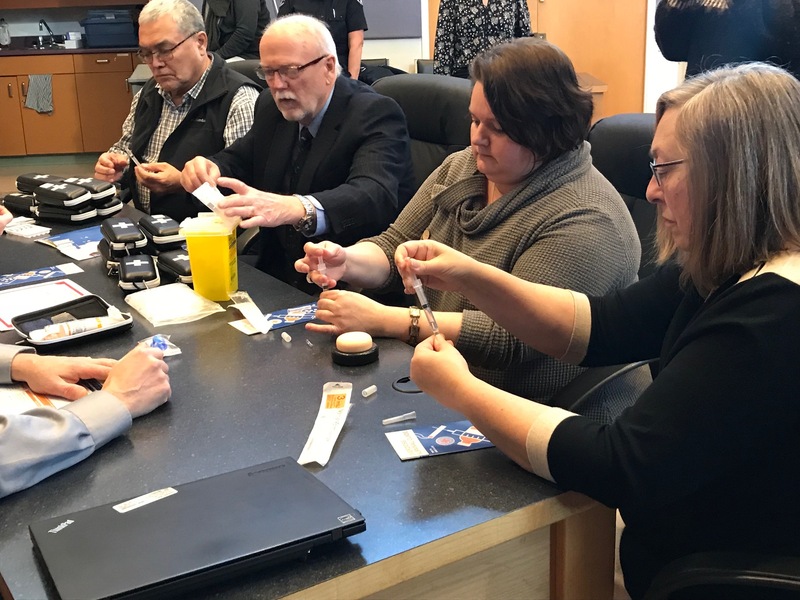 Chief Warren Paul from Sechelt Nation, Gibsons Mayor Bill Beamish and Sechelt’s Mayor Darnelda Siegers also got their naloxone training at the same event.If local businesses want to get their staff trained on how to use naloxone they can contact the Sunshine Coast Community Action team and something can be arranged.